So you have had diabetes for several years now. You have not really been all that great watching your diet and you would be lying if you said you took your diabetic meds on a regular basis. So what now that 3-5 years (or more) have passed and you are now in your “middle age years”. You begin to notice that your feet have been feeling a bit “heavy lately.” You chalk it up to being tired and have been on your feet a lot.. The numbness you feel in your toes you equate to having thrown out your back several years ago. You start noticing bruises and scrapes on your ankles and toes that you don’t remember occurring. What is going on? Sorry if some of the above examples have hit a bit too close to home. The reality if the situation is that you can have diabetes for many years before the “diabetic neuropathy” rears its ugly head or you can never experience it at all. I at least hope I got your attention if you are reading this. If not for yourself, then maybe for a loved one. The feet of a diabetic need to be protected and inspected. This is not negotiable. When it strikes (even in a very mild form) you must take assertive action and do what you can to prevent the ulcers, infections and amputations that can go along with the disease. Denial is not an option. 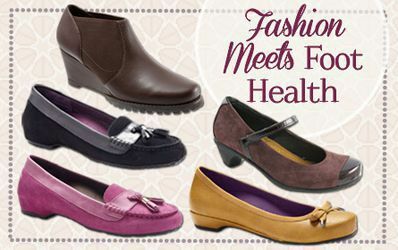 You must relinquish your favorite styles of shoes and start living in the world of your disease. Prevention is not a cure, but it will (hopefully) extend the life of your feet. First thing is to ADMIT to having not only the disease of diabetes, but also the complication of neuropathy. Diabetic shoes are fashioned to protect your feet for the daily rigors of the pounding and irritation that your feet must endure with every step you take. Fashion wise, they have come a long way from the ones you may have seen as a child or that your grandmother wore “back in the day”. They are very high tech from all angles. Starting with the protective outer materials with soft inner linings to the heat sensitive and heat moldable replaceable innersoles. Neuropathy can also affect your hands , and the numbness that can occur can make it very difficult to tie shoelaces. The Velcro straps add not only ease of application for the shoes, they also allow for ease of adjustment as your feet swell throughout the day. Don’t tell me “the soles are too heavy and thick…They feel clumsy to walk with. To that I answer “Try picking up your feet when you walk and you won’t notice it”. The soles are perhaps a bit thicker than your current shoes but that is for protecting your feet from the abusive surfaces you walk on. “I don’t think I need them…My neuropathy isn’t that bad yet”. YET is the key here. How bad does your vision have to get before you get glasses? Let’s all of us just wake up and admit that you have the disease and need to take better care of yourself. If not for you, then for your family members.